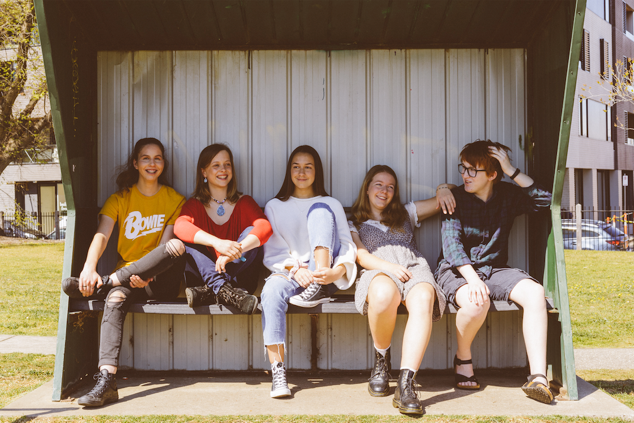 YoWo Music, the Melbourne-based contemporary music program for girls and gender non-conforming youth in high school, has today announced their debut album entitled Work Like That, set for release on November 23. Produced with support from Creative Victoria and Australia Council, Work Like That is a strong, heartfelt collection of songs from Melbourne’s brightest young female and GNC musicians. Work Like That is preceded by new single Built For Boys, a warm exploration of identity, out November 9. The YoWo Music performers will be celebrating the album release with an all-ages launch show at Melbourne’s iconic Evelyn Hotel on November 25. What happens when Melbourne’s brightest young female and GNC musicians get together to make music? YoWo Music is the answer. Their song ‘Built For Boys’ is not only an amazing song but tackles an exploration of identity. Jen asked YoWo’s Indigo King Top 4 Underage Musicians. I have been listening to Willow since her ‘Whip my hair’ days and still think she’s sick today! She’s pretty experimental with her music and explores lots of different sounds that aren’t necessarily the norm for many pop songs/ artists. I loved to watch videos of her performing when I was younger and was so inspired to see a young female making it in the music industry and really committing to improving her vocal + instrumental abilities. One of my favourite songs of hers is her cover of ‘Easy Easy’ by King Krule. It was my first introduction to King Krule (who is now one of my favourite artists) and I remember being so impressed with how different her version was in comparison to King Krule’s, yet she still maintained the same groove and complimented all it’s best bits!!! She’s amazing! I have been listening to Billie for only a year or so now and she has already grown so much and received crazy amounts of well deserved recognition! I am so inspired by her songwriting and the lyrics and melodies she composes with her brother, Finneas. I also like that she doesn’t conform to typical feminine beauty standards and her focus is purely on feeling comfortable on stage and putting on a good show. Her songs are versatile bangers in which you can dance, cry or sleep to while listening to them!!!! Jakal are a young six piece soul/funk band who have recently been doing heaps of gigs in and around Melbourne. Their performance presence is incredible and I am always inspired after I see them play! They have a such a great energy and it is always such a big happy vibe at their gigs! I met Hot glue members, Lily and pearl, through the YoWo music program and now have all of their tunes in my ‘PUMP UP LADY’ Spotify playlist! I love how playful and fun their music is and how easy it is to listen to. They’re not only very talented musicians but very down to earth and fun. They are never afraid to get up on stage and smash out some bangers and have inspired me to organise more gigs and never say no to a music opportunity! Lead single Built For Boys, out November 9 and written by YoWo alumni Lily Harnath, is evocative of the DIY styling and pop songwriting of Alvvays and Japanese Breakfast, boasting driving guitar and percussion, and sweet, clever lyricism. With a heady vibe and undeniable chorus hook, Built For Boys feels like a track you’d Shazam while driving along to triple j. Speaking on the inspiration behind the track, Lily says, “My song is about one of my friends trying to find her identity, but I also think it relates to most people’s search for where and how they belong in the world.” Built For Boys is accompanied by a beautiful clip, directed and filmed by Billy Crombie, which gives a deeper insight into the creative process behind Work Like That.